Yesterday, a jury convicted former L.A. City Councilman Richard Alarcon and his spouse on several fraud charges based on allegations that he lied about his residence when filing and running for election. The jurors in the voter fraud and perjury trial of former Los Angeles City Councilman Richard Alarcon argued for days, with opposing sides initially arguing for convictions and acquittals on all counts, according to interviews. After five days of deliberations, the five-man, seven-woman jury found Alarcon and his wife guilty of several counts of perjury and voter fraud Wednesday for lying about where they lived so Alarcon could run for city office. “He hasn’t gotten this far because he’s naive, or misinterpreted a word in a form,” said Mandujano, 32, referring to arguments in the case over the meaning of legal residency requirements for politicians. Prosecutors alleged the couple lied about living in Panorama City in the council’s 7th District, so Alarcon could run to represent the area, which he did from 2007 until last year. The district attorney’s office maintained the couple actually lived in a bigger, nicer Sun Valley home outside the district. The City Charter requires that candidates live in the district they seek to represent. 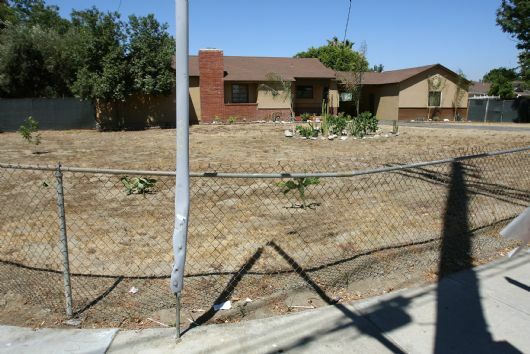 The Alarcons’ attorneys argued that the couple’s Panorama City house was their permanent residence, even if they didn’t spend all their time there. They said the couple was renovating that home and intended to return there, meeting the election residency requirements of state law. Two jurors interviewed after the verdict said utility usage at the Panorama City home was the most convincing piece of evidence. They pointed to the lack of gas consumption in the house from April 2007 to February 2009, saying the Alarcons couldn’t have cooked, heated their home or taken hot showers. The charges covered a period from 2006 to 2009. But the convictions involved only the period from November 2008 to May 2009. One juror, who asked not to be named because of possible repercussions at his work, said the utility bills convinced the panel beyond a reasonable doubt that the Alarcons weren’t residing in the home during the latter period. Mandujano said that jurors believed it was unlikely [Alarcon’s spouse] Montes de Oca Alarcon, who owned both homes in question, would ever want to leave the nicer Sun Valley home. He pointed to prosecution photos and videos showing the starkly different conditions of the two homes. “There’s no way you’re going to move from a custom-made house to a two bedroom” near an alley, he said. While the stakes are undeniably higher when a candidate’s eligibility is in question, this case is yet another reminder of how treacherous questions about residence and domicile can be in the field of elections. It’s no surprise, then, that it becomes such a flashpoint in many election controversies where residence is an issue, especially in our increasingly-mobile society where people of all means may have more than one place they can call home. 6 Comments on "Deconstructing Domicile: Former L.A. Councilman, Spouse Convicted of Voter Fraud"
Germany will have a beer party movement – tea party sounds too English. Maybe call it a beer hall movement – no, we wouldn’t t want to bring up ugly historical references. "Heroic fantasy? Fafhrd and the Grey Mouser. Just sayin'. "Huh, why hasn't anyone picked up on that? Are Lieber's executors asking for an arm and a leg for the rights?It's got buddy movie written all over it.